Learn more about her exciting project in our winter newsletter or click here to read about all of our previous recipients. Throughout her lifetime, Christiane Howey believed in the importance of giving back and found ways to do so in both her personal and professional life. In addition to granting many educational awards for transmitters, she also sought out ways to aid young researchers and start-up programs. During her 21 years at the helm of this company, she continually inspired us to become better versions of ourselves and to work with others in mind. To carry on her spirit of generosity, we are offering this annual award in her honor as a means to help researchers who are early in their careers get their projects off the ground. The recipient of this award will receive 5 transmitters of his or her choice. Final submissions for the upcoming Rising Scholar Award will be accepted through 15 October. Proposals are judged by an internal committee and reviewed prior to the publication of the winter issue of our newsletter. We will contact the recipient to schedule a production slot in late December. Applicants are encouraged to include an educational component in their research, but this is not required. Proposals should include an outline of the project indicating the scope and expected outcome. Please include a timeline and which model of transmitter you are interested in using. Proposals should be no longer than 5 pages. The award recipient will be responsible for any Argos or GSM data distribution costs as well as any duties/taxes. 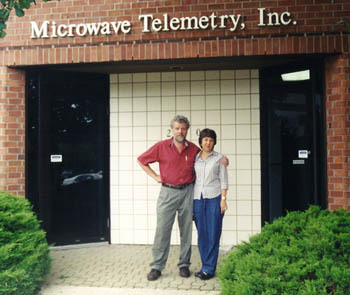 Send all submissions to support@microwavetelemetry.com.